The Dynamic Earth science centre in Edinburgh, Scotland, is launching a new attraction that promises to "bring dinosaurs to the digital age", allowing children to design their own dinosaur before seeing it brought to life in front of their eyes. Starting in July, visitors will be able to create a "Designosaur", using an iPad to build a dinosaur which will be made a reality using mixed reality technology. Once created, guests will be able to interact with the extinct beast, and even take a selfie with the virtual animal. 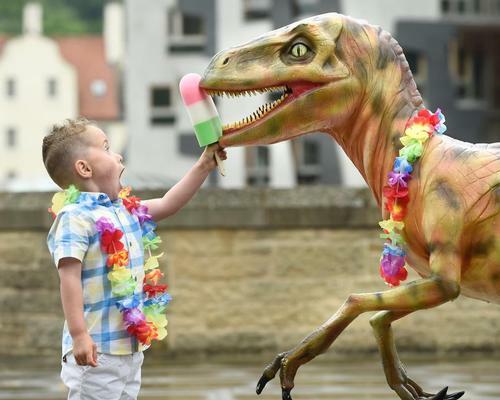 "This is the first time our guests have had the opportunity to actually create and build their very own dinosaur," said Eilidh Massie, marketing director at Dynamic Earth. “This is a really fantastic activity that allows people to not only design and personalise their dinosaur but also to see it come to life right in front of them." Designosaur will be available from 1 July, running alongside the returning Operation Earth – part of a partnership with the Natural Environment Research Council (NERC) to deliver exciting and engaging activities for families at science centres throughout the UK. Operation Earth will invite visitors to find out how the work of organisations such as the NERC are leading the way in helping us understand the world around us, how it’s changing and what impact this will have. Both Designosaur and Operation Earth will run through the summer, concluding on 26 August. Dynamic Earth worked with marketing communications agency Multiply on the Designosaur concept.